Green Sandpiper (Tringa ochropus). Taken at Standlake Common, Oxon., on November 1st 2017. Taken at Standlake Common, Oxon., on November 1st 2017. 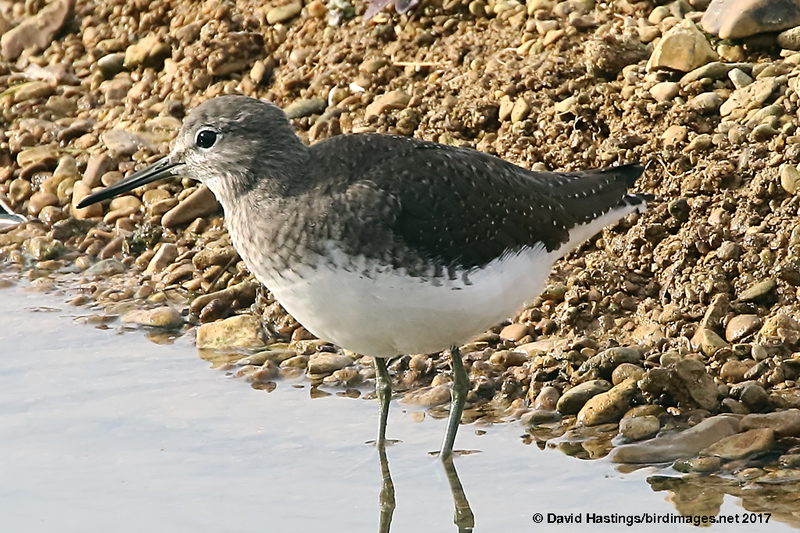 The Green Sandpiper is a very contrasting wader which looks like a large House Martin in flight. Its dark, almost black upperparts, pale underparts and white rump are distinctive. It breeds across subarctic Europe and Asia and is migratory, wintering in southern and western Europe, the Indian subcontinent, Southeast Asia, and tropical Africa. It breeds in waterlogged wooded areas, on bogs and marshes. It has Amber status on the UK list. Around 1000 birds over-winter here.